New for Spring/Summer 2019, this upright duffle bag is handwoven with bi-color fettucce in Intreccio Cabat, the deceptively simple yet exceptional double-faced craftsmanship originally used to make the iconic Cabat tote. 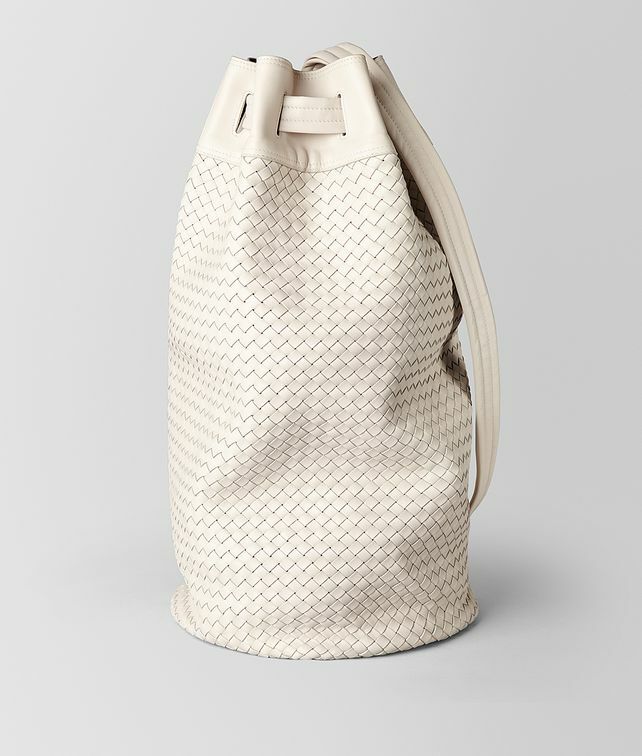 The result is a bag with a contrasting interior that is finished as beautifully on the inside as it is on the outside. Hardware: Nero Opaco Height: 56 cm | 22"
Width: 30 cm | 11.8"
Depth: 30 cm | 11.8"